According to organisers, the prize is “gifted to a team that takes into consideration different impairments that could potentially affect someone’s ability to play their game…this involves thinking about the inclusion of as many people as possible.” Research has shown that 20% of gamers have a disability. 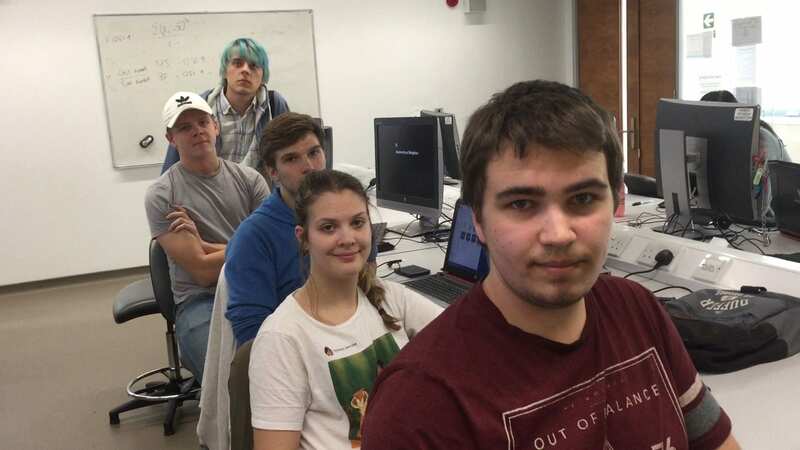 Teams had just 30 hours to create a video game based on the theme “change”, with the emphasis on rapid development and thinking instinctively while working under pressure. The tournament was virtual, meaning students from the University of Brighton competed via computer facilities on campus. Piotr Chyrc, one of the students in Team Win, explained the premise of the winning design: “We brainstormed some ideas and then decided on a game with a chameleon that would change its colour based on what bug the chameleon last ate. “Depending on the chameleon’s colour, it will either be able to walk across a leaf or will fall through it. So, for example, if the chameleon is red then the player will be able to walk across red leaves but will fall through blue or yellow ones. Ian Hamilton, one of the judges, commended Team Win for their “simple, clear controls and mechanic” but said what really made their design stand out was its handling of colour-blindness: “[it was] an excellent implementation achieved through testing with simulators”. As the students had never done anything like this before, Senior Lecturer and gaming industry executive Richard Leinfellner and Digital Games Development Course Leader Panagiotis Fotaris set up a boot camp session for the University’s participating students ahead of the ‘jam’ and were on hand to provide support during the event. The university’s own student-led Games Society was instrumental in putting the competing students forward to the competition. Participants were encouraged by industry mentors Becks Richards and Sandy Lockie from Brighton’s own Wish Studios at the ‘Jam’. 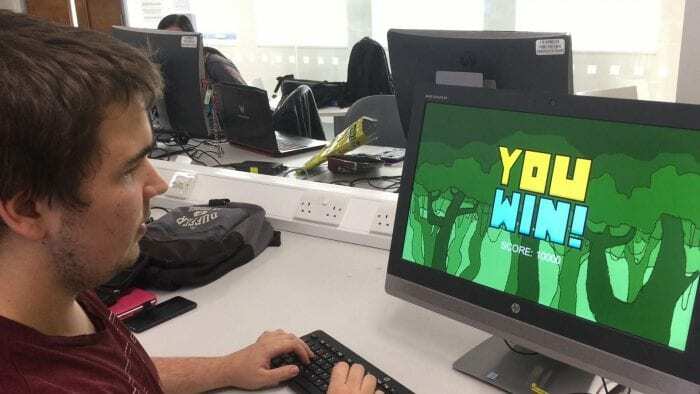 This entry was posted in Awards, Computer science, Games, Life at Brighton, Student Work, Uncategorized, Undergraduate.